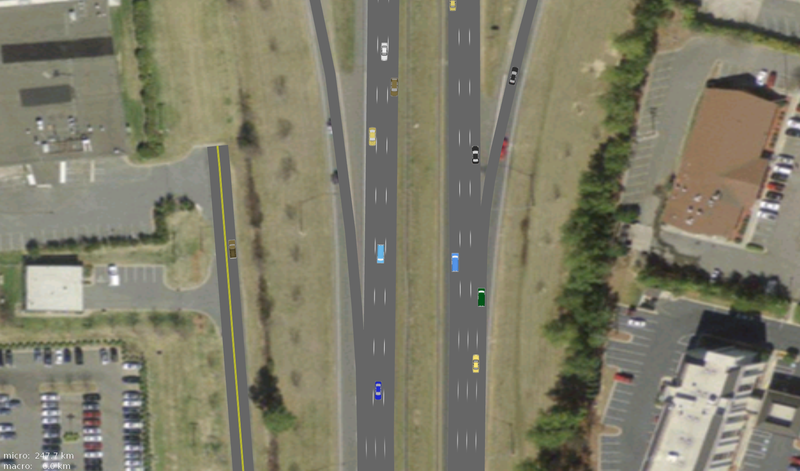 With growing interest in adapting simulation technology for the analysis, planning, and design of new transportation infrastructures and traffic management systems, efficient and accurate creation of 3D models of complex road networks using commonly available GIS data consisting of polylines is needed for realistic, large-scale urban traffic simulation. In this paper, we propose an efficient, automatic method for extrapolating a road map from a GIS database to automatically create a geometrically correct and topologically consistent 3D model of large-scale road network to be readily used in a real-time traffic simulation, interactive visualization of virtual world, and autonomous vehicle navigation. 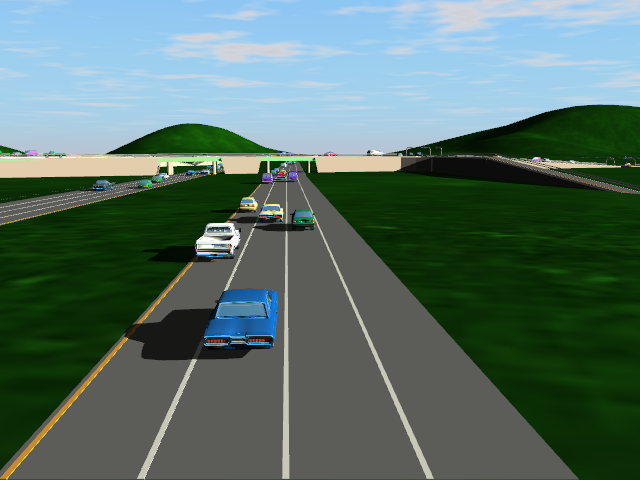 The resulting model representation also provides important road features for traffic simulations, including smoothly connected ramps, highways, overpasses, legal merge zones, and intersections with arbitrary states and is independent of the simulation methodologies. We test the 3D models of road networks generated by our algorithm on real-time traffic simulation using both macroscopic and microscopic techniques. This video shows a flyover of a road network generated by our method and populated with simulated traffic. 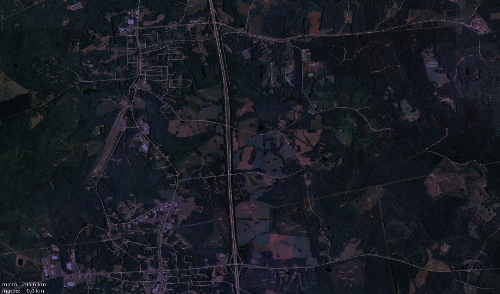 This video shows traffic on a road network generated by our method over the course of a day.